Articulating Quick Release Bases allows multiple angle and tilt adjustments at the device connection point, independent of the mounting pole angles. Often useful for eye-gaze system positioning. The Articulating Quick Release Base allows multiple angle and tilt adjustments with the ball-joint feature. 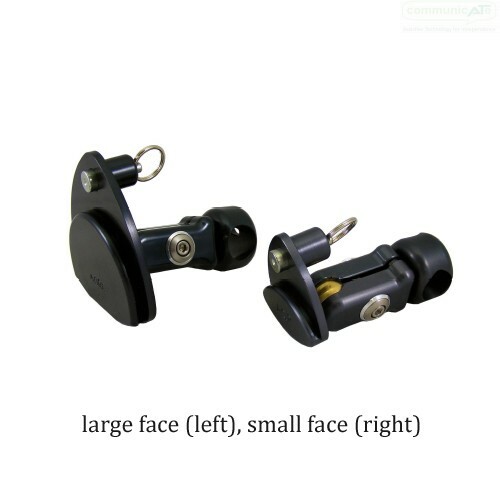 The standard face size (large) is well suited to full-size and larger communication devices or computers, the smaller quick release face is well suited for smaller communication devices, tablets or iPad. 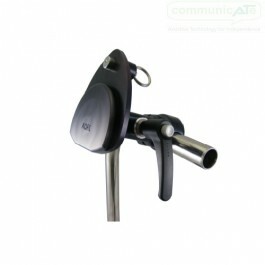 The Articulating Quick Release Base is available with quick handle options or with allen key adjustment only. Articulating Quick Release Base with ONE Quick Handle - This provides a quick handle for adjusting the ball-joint rotation and tilt. Articulating Quick Release Base with TWO Quick Handles - Position Adjustment & Articulation Quick Handles. 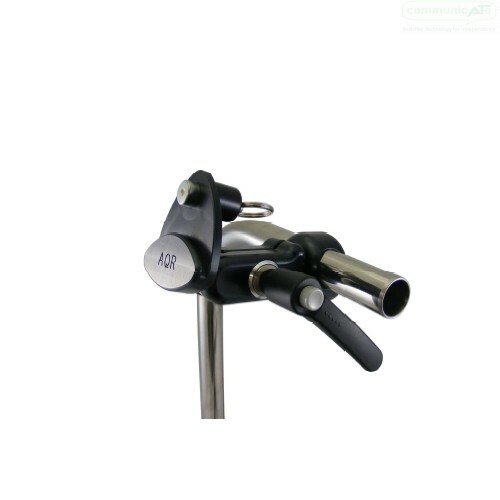 2 quick handles; ne handle on the Pinch Clamp for Height Adjustment of the component along the mount tube and One handle on the ball joint for adjusting the rotation and tilt of the attached device. The Articulating Quick Release Base fits 7/8" diameter tubing and is suited to DAESSY Wheelchair Mount Kits with 7/8" or 22mm tubing, DAESSY Rolling Mounts, REHAdapt Floor Stand or other mounts using that tube size.